The new Hyundai i30 hatchback is practically indestructible, invincible. In a recent test, the new i30 has undergone rear time Car Durability Test. And it was tested and verified durable not only by humans but by baboons also. In a recent test, Hyundai has put a new i30 car at the Knowsley Safari Park, near Liverpool, England. And it was amazing for the world to see the monkey business in exploring a human car parked entirely to their disposal. Notably, Hyundai carried out such a durability test in order to prove that the i30 could sustain the worst possible of use or even worse it. As soon as the i30 was parked to their disposal, the monkeys gathered around it like dons and then gradually started exploring the car. The monkeys opened up the doors and took the drivers seat, while some of them climbed the roof that took their weight well. While some ripped, pulled and twisted thinks, while some tried their hand at honking the horn. Whereas some really played with the windshield wipers and some contended themselves by peeping from outside. Overall, it was filthy at the end but not even a scratch, dent and bump was there inside or outside the car. As a family car the i30 is borne to have a more or less similar treatment by the kids or even the adults. Thus testing it this way is the best method to test the durability of the car. As per the test results, there were around 40 monkeys inside the car which is around 10 times the size of an average family. 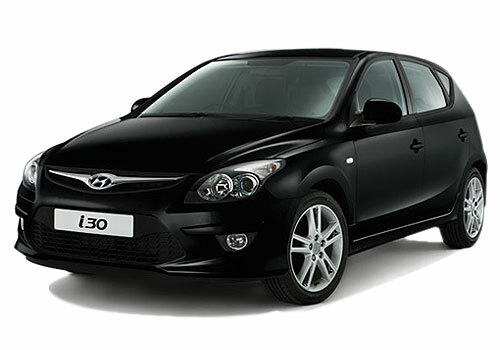 Notably, the Hyundai i30 is an upcoming car in India where its junior Hyundai i20 has recently received a facelift that has made it more close to the fluidic design philosophy by the Korean car maker. Wow ! it's a new and amazing way for testing car interior and exterior durabliliy. Really.. its a different way for test the car and strength of the car..
After the Hyundai i10 and Hyundai i20 and the Hyundai also come up in Indian auto market with New Hyundai i30.It would be amazing car now in days. Excellent way durability test. I think Hyundai i30 will be the toughest and powerful car.